William Wright Waller “Jerry”, age 95, passed away peacefully on Wednesday, March 20 at McLeod Cheraw Hospital surrounded by his family. He was born in Danville, Kentucky to the late Wright and Jane Letcher Waller, on July 28, 1923. 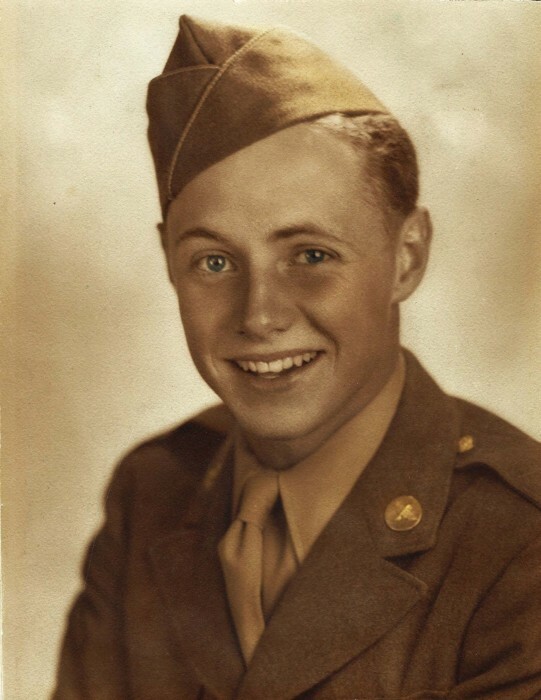 He served honorably in the US Army Air Corp from 1943 to 1945 and attended Western Kentucky University. He married Hedwig Unsin August 16, 1955. He established the Wright Waller Company supplying the Western Kentucky farming community with Allis Chalmers farm equipment for over thirty years. Jerry and Hedy retired to Cheraw, SC in 1988, where they lived life to the fullest through simple pleasures; visiting with friends and the family from the front porch, gardening, and spending time with the neighborhood pets. Jerry had an uncanny ability to reach people in a deep and positive way, as evidenced by the Cheraw City Council naming a parcel of property along Poplar and Huckleberry Streets “The Jerry and Hedy Waller Pet Park” in honor of their dedication to pets and neighborhood beautification. Survivors include his wife Hedy, daughter Jane (Michael) Levans of Woodstock, Illinois, son Thomas W. (Karen) Waller of Chesterfield, SC, and John P (Tonya) Waller of Ooltewah, Tennessee. He is survived by eleven grandchildren and eight great grandchildren. He is predeceased by his parents, sisters Anne Dreier and Katherine Gres, and a daughter-in-law Martha Hall Waller, and a daughter Glenna W. Calvin. Mr. Waller was a Mason and a member of The Sons of the Confederate Veterans. A gathering of friends and family will take place Saturday, March 23 from 2:00 to 4:00 PM at Kiser Funeral Home, Cheraw, SC. Memorials to: Paws and Claws, PO Box 386, Chesterfield, SC 29709.